You can find VICIdial in use at thousands of different companies and organizations all over the world. From a bank in Japan to a social club in the United States, all sorts of organizations trust VICIdial to communicate with their customers and members. 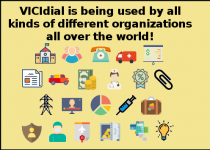 For more information on how VICIdial can help your organization, please contact us. 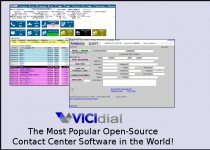 VICIdial is the most popular Open-Source Contact Center Solution in the world. With over 14,000 installations in over 100 countries around the world. The agent screen is available in 16 different languages, with options to easily create your own custom translations as well. We have clients running VICIdial at call centers from 5 to 500 agents, handling over a million calls a day at the larger installations. VICIdial is also award winning as well! 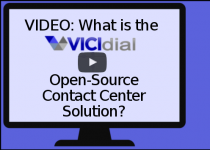 With awards from CIO Review, Sourceforge, ITexpo and several others, VICIdial is acknowledged as a best-in-class solution for contact centers. If you would like to learn more about VICIdial, contact us. Let your agents handle inbound and outbound phone calls as well as inbound email and customer website chat all together in the same web-based agent interface. With Skills-based routing and Queue Prioritization, you can have calls and emails go to the agents that can handle them the most efficiently. You can also have those agents handling outbound calls when the inbound call load is low. For more information about the features that we offer on vicidial, take a look at our Features page, or Contact Us. You get your own physical servers in one of our hosting facilities. 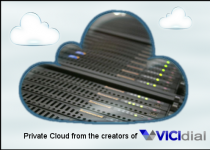 We have hundreds of servers in our private hosted clusters that we maintain just for our hosted call center services. We only use Tier-3 datacenters with multiple internet backbone connections and redundant power solutions, so you know your service is going to work. 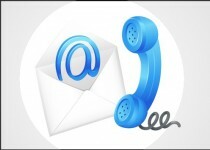 For more information about VICIhost Hosted Contact Center Service, visit VICIhost.com.